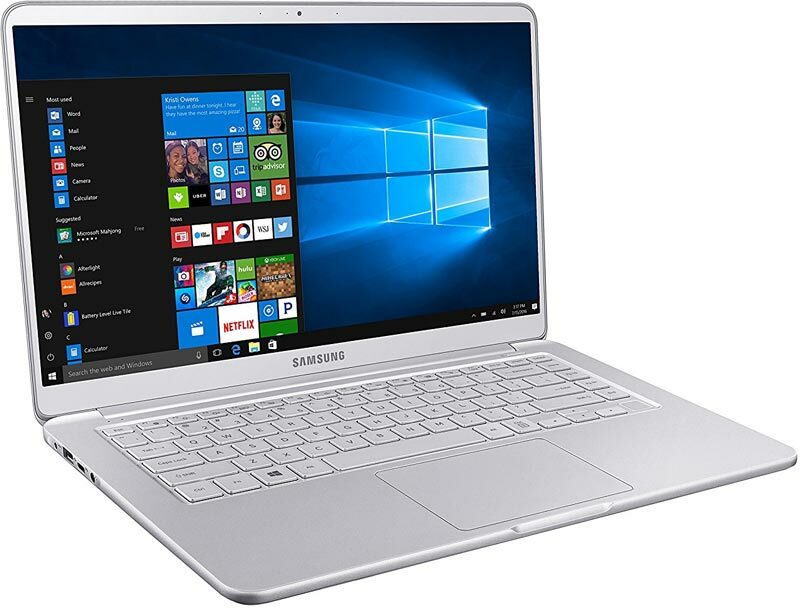 The Samsung Notebook 9 NP900X5N-X01US is a bestselling laptop that has been praised for its elegant metal design, fast solid state drive, dedicated NVIDIA graphics, fingerprint reader and for its thin screen bezel. However, the 256GB of SSD will fill up quickly if you have a larger collection of media files. You also do not get a VGA or Ethernet (LAN) port and you will need to purchase an adapter separately. The Samsung Notebook 9 also features Fast Charging, meaning that you can get around 2 hours of use off of a super quick 20 minute charge. This will come in handy when you are pressed for time and need a bit of battery life for a quick meeting or presentation at work.